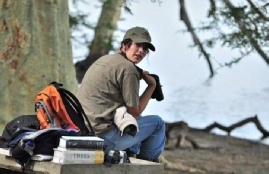 South Africa, like the rest of the world, has seen rapid growth in Ecotourism. With such rapid growth, there is always a demand for professional services. Bhejane aims to provide a training and education service to people of all ages wishing to pursue a career in guiding and related activities. Bhejane Nature Training is owned and managed by Dylan & Christa Panos. uBhejane is the Zulu name for the African Black Rhino, a flagship species for northern KZN. Bhejane Nature Training has been established with the inspirational history of the Black Rhino in Zululand in mind. The dedication, persistence and high standards of the KwaZulu Natal Game Rangers was the driving force behind the successful re-establishment of Black Rhino populations in South Africa. The Black Rhino represents a successful conservation effort, against all odds - led by pure passion and determination of these rangers. Bhejane operates in Northern Zululand. A very rural area, characterised not only by its rich tapestry of landscapes, history and wildlife, but also by large scale poverty and unemployment of the surrounding communities. Bhejane works in association with various other organizations to empower and educate these communities to ensure a better quality of life, as well as to ensure a vested interest in conservation. Bhejane actively seeks sponsors to train local community members and also sponsor a limited number of students themselves for different training courses each year. In fact, every paying student that takes part in any of their programmes by default becomes a sponsor to a local student from the surrounding community. 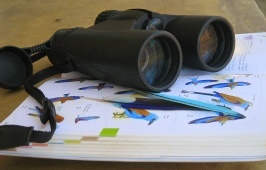 Courses are led by professional instructors, all of whom are legally qualified and registered with the relevant authorities and standards setting bodies in South Africa such as CATHSSETA (Culture, Arts, Tourism, Hospitality and SportEducation and Training Authority, and FGASA (Field Guides Association of South Africa). 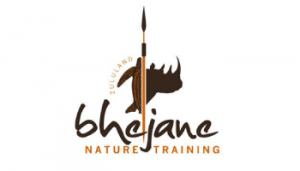 Bhejane Nature Training is based in the Zululand/ Maputaland region of northern KwaZulu Natal, an area that is recognized as a global biodiversity hot-spot. It also contains the oldest conservation areas in the whole of Africa. The College base camp is in False Bay, bordering the Isimangaliso Wetlands Park. Student accommodation here is in thatched huts or Safari tents. The camp is surrounded by conservation areas such as the Hluhluwe-Umfolozi Game Reserve, Mkuze Game Reserve, the Zululand Rhino Reserve, Phinda and the greater St. Lucia iSimangaliso Wetlands Park, Mkuze Game Reserve, Tembe Elephant Park and Ndumo Game Reserve. The reserves of Northern Zululand and Maputaland have often been described as simply the most breathtaking and spectacular in the whole of Southern Africa. The area boasts a biodiversity that is unrivalled by any other Southern African Parks. The first national park ever proclaimed in South Africa, The Pongola Game Reserve, together with the surrounding parks and reserves of St. Lucia and Hluhluwe, make these the oldest protected areas in Africa – a truly unique wilderness area. Known for its impressive lakes and wetland systems, the area is also characterised by unspoilt marine reserves, and a range of habitats that includes mountains, grasslands, forests (more than 80% of SA’s remaining forests are found here), savannah, estuaries and mangroves. The Sand Forests, Fever Tree Forests, and Fig Forest in Mkuze Game Reserve is guaranteed to add some magic to your training experience! The Bhejane Camp is located on the False Bay Border of the Isimangaliso Wetlands Park, and within less than an hour’s drive from all of the major reserves in the area. While most theory training is conducted at the False Bay Base Camp, students get the opportunity to experience most of the parks listed below during practical training camps. Below are some of Bhejane's practical training venues. Need an NSFAS Loan ?